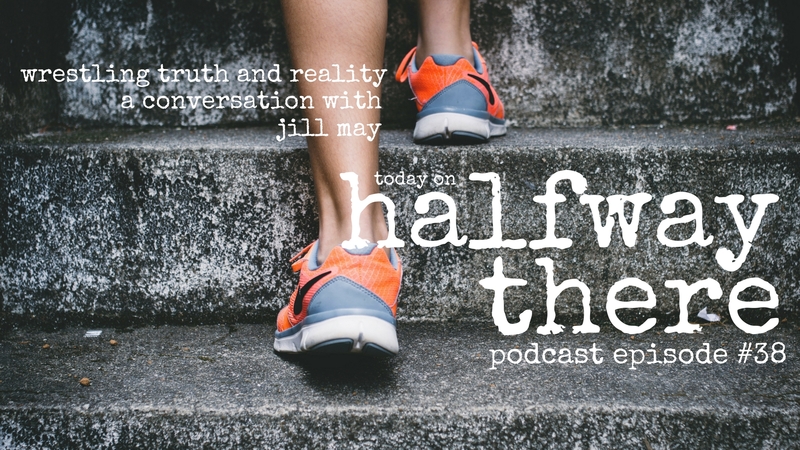 Jill May shares how she went from struggling mom and pastor’s wife to Season 1 winner of NBC’s Strong, a reality show that paired ordinary women with trainers and set them in competition with one another. Winning a reality show is very cool. But the story of God’s leading her there? Now that’s awesome. Jill grew up in rural Minnesota to a church going family. Sometime in her late high school years during a period of asking the big questions about life she began reading the Bible which changed her life. Her new hunger for the Bible led her to Bible school where she met her husband. After starting their family, they moved to Colorado to attend Denver Seminary. 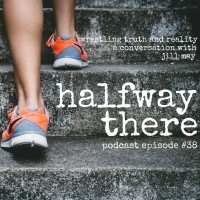 Several years later, after her husband Dan was called to serve as a pastor back in rural Minnesota, Jill began dealing with anxiety and began building walls. She explains how those walls began to come down with the revival of a bucket list item: going on a reality show. Jill explains the process of how she applied for, was selected, and appeared on NBC’s Strong and the breakthroughs she experienced both physical and emotional on her way to winning it all. I like to describe my journey with God as a wrestle. When I look back, it can only bring me to that place of worship because He has been so sovereign over the process. When I was in my deepest darkest, rock bottom moments, I literally had times when I thought I was going to die because I was experiencing panic. I remember laying in my bed and thinking I can’t deliver myself from this. I cannot rescue myself. God was not far from me. At this point I was suffering but God was in one of the closest places I’ve ever had him. At that point I knew he was it. He was my only hope. It’s okay to be who you are. Why would you want to be someone else? The most honoring to God is to live into who He’s designed you to be. You can’t show me someone that’s doing poorly physically and tell me they’re in a good place mentally and spiritually. If Jill’s story stirred something in you to begin a fitness journey, she would love to connect with you and the best way to do that is through social media. Follow her on Facebook, Twitter, and Instagram.